If your money is in Roth accounts, all the better, but most people interested in trading in their IRAs are restricted to traditional IRAs. There are restrictions on what trades you can do in an IRA account. For example, you can’t short a stock in an IRA account, but option restrictions have eased some over the years, and market innovations like short ETFs (e.g., SH, SDS) have effectively bypassed some of the more onerous restrictions. Brokers vary considerably in what they allow in IRA accounts, so pays to ask around. Fidelity & Schwab allow many types of option spreads that some brokers might not. 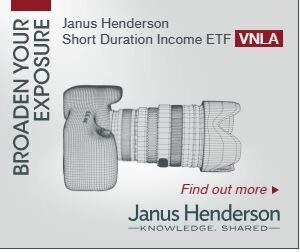 Covered calls and protective puts on long positions are broadly available within IRAs. Interactive Brokers and TD Ameritrade both waive the 2-day settlement requirement on trades in IRAs so if you plan to do frequent trades they would definitely be worth a look. For a more general treatment on trading in IRAs see “Top 15 Questions About Trading in IRAs.” The rest of this post will deal with free riding and how to avoid it. Generally, your broker’s software will block you if you try to do something that is not allowed in an IRA account, but there is at least one area that is particularly tricky—avoiding “free riding”, formally a SEC Regulation T violation. Free riding occurs when you enter and exit a position using funds from a previous transaction without waiting the required settlement period for the previous sale—2 days for stocks. Two days seems like an eternity, but the settlement rules pre-date computers, and brokers don’t mind holding your money two days after you sell a stock. They aren’t lobbying to change the rules. An example of free riding would be if in a cash (non-margin) or IRA account you use all the cash settled money in the account to buy stock, sell all the stock, buy stock again, and then sell it again before the 2 day settlement period has elapsed for the initial sale. Typically your broker’s software will warn you if you are getting close to free riding (e.g., with a quick sell, buy sequence), but the warnings are usually cryptic, and easy to miss along with all the other info associated with a trade. If in doubt it is always a good idea to call your broker. The free riding rule is intended to prevent people from speculating without actually putting up any money. If the out-in-out scenario above was allowed, the investor would never have to give their broker any money—because they would be out of all their positions before the 2 day settlement period was over—effectively selling a stock before they have paid for it. Normally free riding can be avoided by trading in a margin account. Don’t hold me to the actual details, but I suspect the broker collects interest during fast in/out trading in a margin account. But IRA accounts don’t support standard margin accounts, because loans are not allowed in them—so you have to be careful to avoid free-trading, or find a broker like Interactive Brokers or TD Ameritrade that waives the 2-day requirement. Once you understand the intent, it isn’t too hard to avoid the day to day trading restrictions, but what gets a little tricker is the possibility of events outside your direct control—e.g., stop-loss orders or option assignments. Options with American style exercise policies (most equity options), can be assigned by the option owner, at expiration, or any time before. So if you have done a quick sell, buy transaction and plan to sit tight until the settlement period is over (which I believe is totally ok under the free riding rules), you should be very careful if your position includes short options (e.g. covered calls) or stop loss orders. In-the-money options are certain to be called at expiration, and if your position is going ex-dividend your in-the-money calls might be assigned the night before the ex-dividend date. If you do violate the free-trading rules it isn’t the end of the world. Initial penalties will probably include not allowing you to buy with unsettled funds, but I’m sure repeated offenses are a bad idea. I am often short call options, so I generally only use funds that are marked “settled cash”, or “cash available to withdraw” —that way I have no worries about free riding.